Shanghai Disneyland may open in 2014. Realizing a company mission of being a "leading provider of entertainment," Walt Disney Company has plans to open a Shanghai Disneyland resort by 2014. Despite what is seen as a major success in negotiating, there continues to be concern over the Shanghai-based theme park. While most think of Disney as a place where dreams come true, the mention of a Disneyland in Shanghai conjures up some controversy. Discussion on a potential Disneyland resort in Shanghai began in 2005. However, it was not until November of 2009 that Walt Disney Company announced officially that the Chinese government approved the construction of a Disneyland resort in Shanghai. The idea of a Disneyland in Shanghai has prompted some critics to speak out. One of the first concerns of many, who are familiar with China's economic landscape, is that the financing set up for Disneyland in Shanghai will hurt the Chinese economy rather than give it a boost. As an example, critics point to Disneyland Hong Kong, which is has been riddled with problems and high costs rather than profitable to the Chinese. The government funded approximately 60 percent of Disneyland Hong Kong. While the project was meant to spur on development for an economically depressed region, the government actually lost money on Hong Kong Disney. The Shanghai Disneyland resort is also being funded through government agencies and critics believe that the same business plan may fail again. One reason that Hong Kong Disneyland has not done as well as projected is that the park seems culturally irrelevant. Planners point to the fact that the Chinese seem to prefer nearby Ocean Park, which is decorated with pandas and sharks. In addition, it seems that Disney tickets are out of the price range for local families looking to spend a day at an amusement park. As a result, Hong Kong Disneyland has fallen significantly short of its projected revenues. Opponents to Shanghai Disney believe the people there will also find a new Disney theme park overpriced and of little cultural value. In order to build the Disneyland theme park in Shanghai, the Chinese government is relocating scores of families which will cost the government quite a bit of money, even beyond the projected construction costs of the park. A few critics are not sure the Chinese government can afford such an expense, especially when Disneyland Hong Kong was so poorly received. 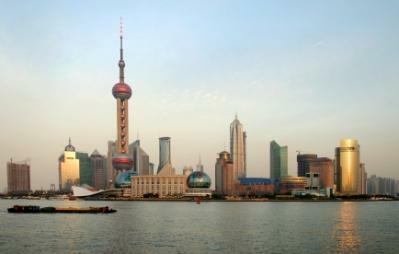 While Disney is not giving away any secrets for their Shanghai resort, reports indicate that progress is being made. Supposedly, the resort is demonstrating that the company has in fact learned from the lackluster success of its mistakes in Hong Kong. Early reports indicate that the Shanghai Disneyland theme park will be geared more towards the Chinese speaking population. Visitors can expect more of an emphasis on Disney stories that appeal to Asian audiences like The Secret of the Magic Gourd. Although not released widely to US audiences, the film garnered several Chinese movie awards. One of the downfalls of Disneyland Hong Kong is its size. It is the smallest Disneyland theme park in the world. While visitors to Disneyland in California or Paris attest to the fact that it takes two to three days to tour the park and see everything, visitors in Hong Kong rarely come back for a second visit because its simply not necessary in order to get a full experience. Hong Kong's lack of size has been one variable in its revenue mediocrity. Shanghai Disneyland resort promises to be much bigger and Disney China executives hope that the larger size will attract visitors for several days at a time. Despite a decade-long negotiation, and many critics, Disney is confident that Shanghai is just the place to build their new theme park. Given that China is a moderately new market for Western business, it remains to be seen if Walt Disney Company can marry the successful franchise with enough culturally relevant amenities to appeal to the Chinese people. While the development of the theme park itself remains relatively quiet, you can catch news and updates from the Disney Blog.